It was the first week of November of 1996. I was neglecting my civic duty to vote in the upcoming elections and on my way to the Island of Culebra with my friends instead. Clearly I wasn’t the only one though, because when we got to Flamenco Beach there seemed to be thousands of college students there. It was my first time in Culebra. I vividly recall the entire process of going through the office to get our tent permit, and walking as far as possible from what someone in our group dubbed “Babylon” (i.e. the areas where everyone else camped) to set up our camp as close to the “tank” as we would be allowed to. We were so proud and amazed of our campground, which I am sure took twice as long to build because the Engineering majors wanted to show off their skills. There were 4 or 5 tents, although they were mostly used for storage since we all crashed by the beach on our sleeping bags. I don’t remember how many of us exactly were there in our group. What I do remember is that my girlfriends where there, and we had an outrageous amount of junk food and booze. 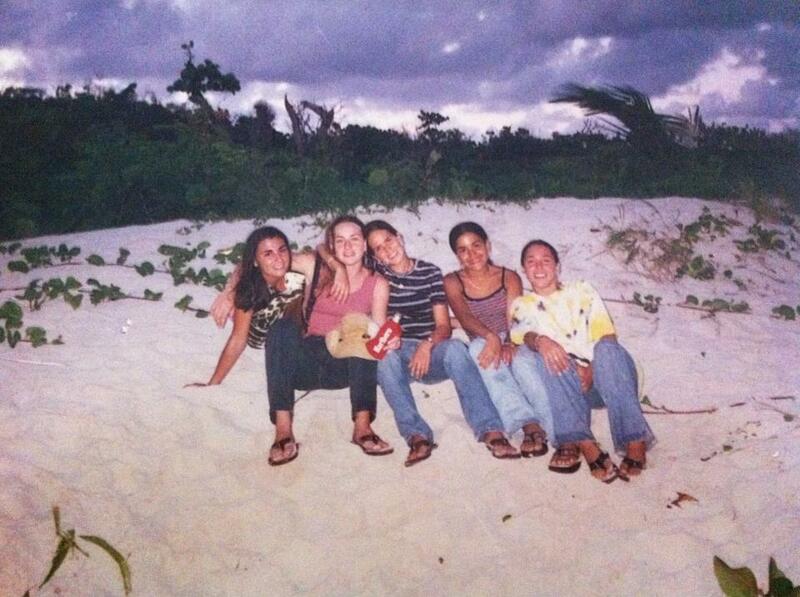 The trip to Culebra was undoubtedly one of the best memories of my college years. We had fun in the sun, snorkeled in waters unbelievably clear and full of life, endured mosquitoes and bug bites in the evening just so we could spend as much time as possible lying on the beach gazing at the stars. I had never seen so many stars. In the evening, people would pull out instruments and go from campsite to campsite playing music and recruiting more folks to join the group to move on to the next campsite. In other words, we had our own form of “parrandas”. The last night, we literally camped out in front of the pier gate in order to make absolutely sure that to get on the ferry back to the big island. My first visit to Culebra was a magical experience indeed but there would be many more to come - each more meaningful and magical in its own way. There was the time we rented a small room in “the town”; the time we visited Culebrita, or Tamarindo, or Zoní for the first time. There were visits to the helipad, trips to Brava and so many more visits to Flamenco. But I wasn't the only one struck by all this amazing nature and beauty. My best friends, who were part of my first and many other visits to Culebra, had also fallen in love with this gorgeous island. So much so, that even years after I moved to Miami and succumbed to the daily grind of my corporate work life, they continued to visit the island as much as possible often multiple times a year. Culebra enamored one my friends in particular so much that she made sure to spend every New Year’s and Labor Day weekend there. This year, she had reserved a room at Flamenco Villas since January to spend Labor Day weekend there with our friends. 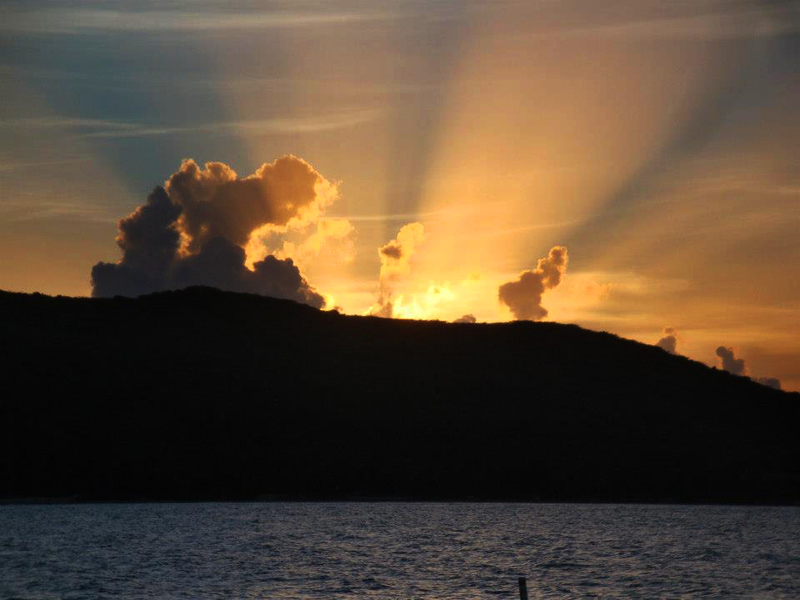 She was so in love with Culebra that she couldn’t imagine spending the long weekend away from the Island that brought her so many good memories. It was for this reason that, when my friend passed in April, months before the weekend she was so looking forward to, we all knew we had to find a way to still take her there. And so, when Labor Day weekend came along a group of us, some of her oldest and closest friends, went to Flamenco to honor her wishes and leave a part of her there. The Island, of course, reciprocated by gifting us the most beautiful sunsets, amazing moonrises (a blue moon, nonetheless!) and magical memories for many more years to come. Goodbye, my friend, may your soul rest in peace and your ashes serve to forever nurture the vast ecosystem of your beloved Culebra.